How do you recreate a beloved actor’s most iconic character? 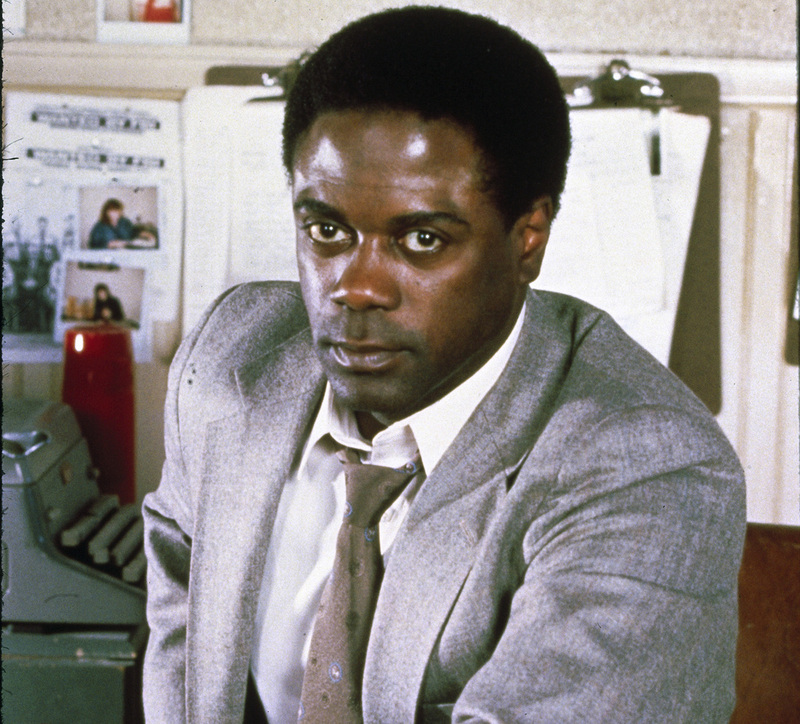 That was the challenge facing Howard Rollins when he was cast in the TV adaptation of In The Heat Of The Night in 1988. Homicide detective Virgil Tibbs was born in the 1965 novel, but he was brought indelibly to life by Sidney Poitier in the Oscar-winning 1967 film and its sequels. So, when Rollins was cast opposite Carroll O’Connor in the NBC reboot, he had imposing shoes to fill. The 38-year-old Baltimore native came to the role with an unusually diverse resume: Broadway, an Emmy-nominated turn on TV, and an Oscar nomination, all in just a decade and a half. Rollins made Tibbs his own with a charmingly low key performance that entertained audiences for six seasons – and continues to delight getTV viewers today. 1. His professional acting debut was a PBS soap opera. In 1970, 20-year-old Howard Ellsworth Rollins, Jr. was cast in Our Street, a serial produced by the Maryland Center for Public Broadcasting. Fifty-six episodes were produced, depicting an African-American family’s “continuing search for dignity and respect” in West Baltimore. Our Street was syndicated to twenty other PBS stations, giving Rollins his first national exposure. 2. He was an accomplished stage actor. Rollins moved to New York City in 1974 and was soon cast in We interrupt This Program, a mystery thriller at Broadway’s Ambassador Theatre. He was the lead in the Off-Broadway drama Medal of Honor Rag in 1976 and appeared in Joseph Papp’s production of Shakespeare’s Measure For Measure in Central Park in the summer of ‘76. After a role in The Passing Game at the prestigious American Place Theater in 1977, Rollins returned to Broadway with The Mighty Gents in 1978 opposite Morgan Freeman. His last Broadway role was the Vietnam War drama G.R. Point in 1979. Rollins would return to the stage later in his career in I'm Not Rappaport in London and a Canadian production of Othello. 3. He was often cast as Civil Rights figures. Rollins got his big break in 1978 when he was cast as Andrew Young, confidant of Dr. Martin Luther King Jr. (Paul Winfield) in the NBC mini-series King. He played another of Dr. King’s friends when he took on the role of George Haley, brother of Roots author Alex Haley, in the ABC mini-series Roots: The Next Generation in 1979. He was also activist Medgar Evers in the PBS American Playhouse production of For Us The Living in 1983. And, in the 1986 TV movie The Boy King, he played Martin Luther King, Sr., father of the slain Civil Rights leader. 4. His first movie was James Cagney’s last. 5. His film debut was Oscar-nominated. In a rarity for Hollywood, Rollins’ first-ever feature film performance in Ragtime earned him an Academy Award nomination for Best Supporting Actor. Rollins lost to Sir John Gielgud for Arthur. He was also nominated for two Golden Globes for Ragtime in 1982: Best Supporting Actor and New Star of the Year in a Motion Picture. 6. He took a job on a TV soap after his Oscar nomination. In March of 1982 – the same month he was competing for an Oscar at the 54th Academy Awards – Rollins took a job on the NBC soap opera Another World. He originated the role of entrepreneur Ed Harding, joining a cast that also included Morgan Freeman (whom Rollins had worked with on stage). Rollins’ front-burner, six-month storyline on Another World was praised by critics and recognized with a Daytime Emmy nomination. 7. He experienced six degrees of Sidney Poitier. Although the two actors never worked together, Rollins and Poitier share connections beyond Tibbs. Poitier’s daughter Pamela Poitier appeared with Rollins in The Boy King in 1986. Rollins also worked with Poitier’s In the Heat Of The Night director Norman Jewison on A Soldier’s Story (1984), adapted from the play about a murdered African-American soldier in World War II. “He had a quiet elegance and dignity,” Jewison told People in 1996. 8. Carroll O’Connor chose him for In The Heat Of The Night. 9. Art imitated life in his final film. Rollins took leave from In The Heat Of The Night after the sixth season in 1993 and was replaced by Carl Weathers (as Chief Hampton Forbes). Following a stint in rehab, he returned as a guest star for three episodes in season seven. In January of 1995 he appeared on Fox’s New York Undercover as a reverend. “He was a treat to work with,” NYU producer Don Kurt told People. “He’d turned his life around.” Later in 1995, Rollins was cast in Drunks, the film adaptation of the award-winning play about addiction. His monologue on the destructive effects of substance abuse was tremendously powerful and tragically autobiographical. Sadly, it would be his final film, as Rollins succumbed to complications from lymphoma on December 8, 1996. Drunks was released posthumously in 1997. “We lost a wonderful guy,” co-star Richard Lewis told People. 10. His legacy lives on. The tenth anniversary of Rollins’ death was recognized in 2006 at a tribute hosted by filmmaker John Waters. A wax statue of the late actor unveiled that night is enshrined in the Great Blacks in Wax Museum in Baltimore, the city Howard Rollins called home. Today, the Howard E. Rollins Foundation carries on the actor’s legacy by awarding scholarships and providing cultural and educational programs for minority and disadvantaged youth.